Even though the weather here has been chilly and not so spring-like I've been determined to put some spring into my outfits this week. I can't wait to bust out those maxi dresses and cute open toe shoes but for now i'll settle with adding color. I love these royal colors together, very bright and cheery. 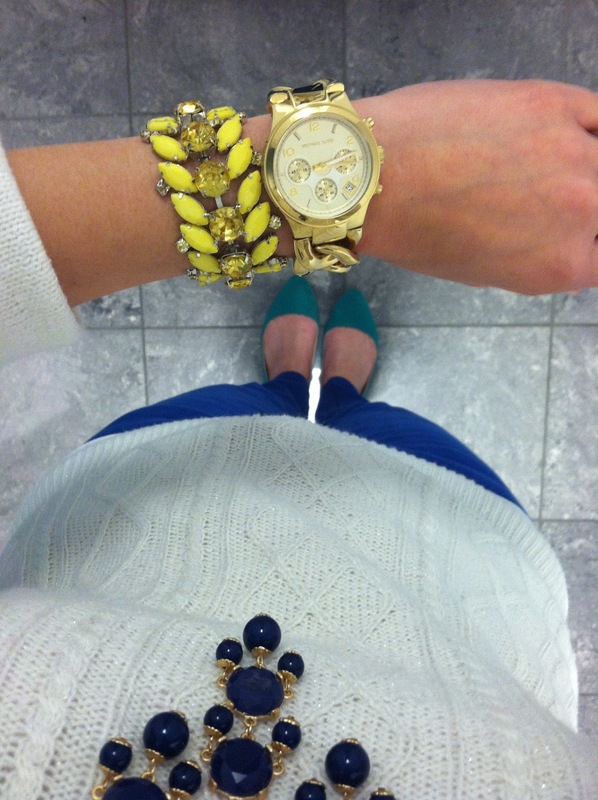 You'll notice a theme in this picture and the rest on this post, I have an obsession with statement necklaces. I am loving vests lately. 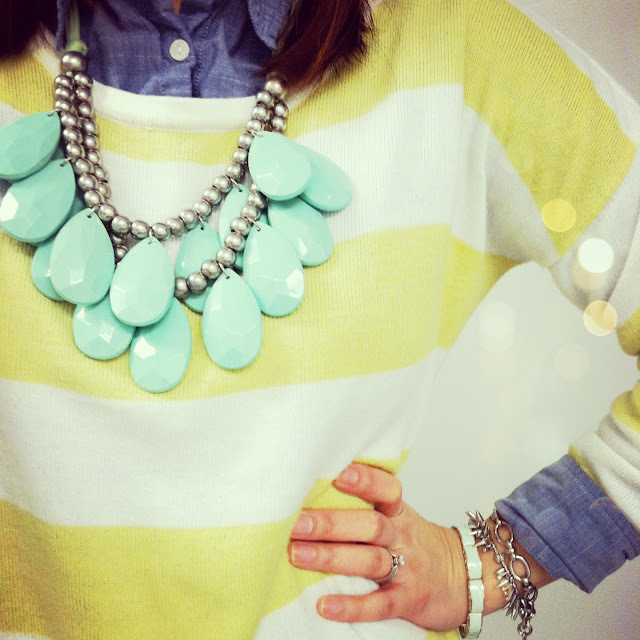 They are such a great layering piece. I think it made this outfit stand out and I love the pink detail down the zipper. 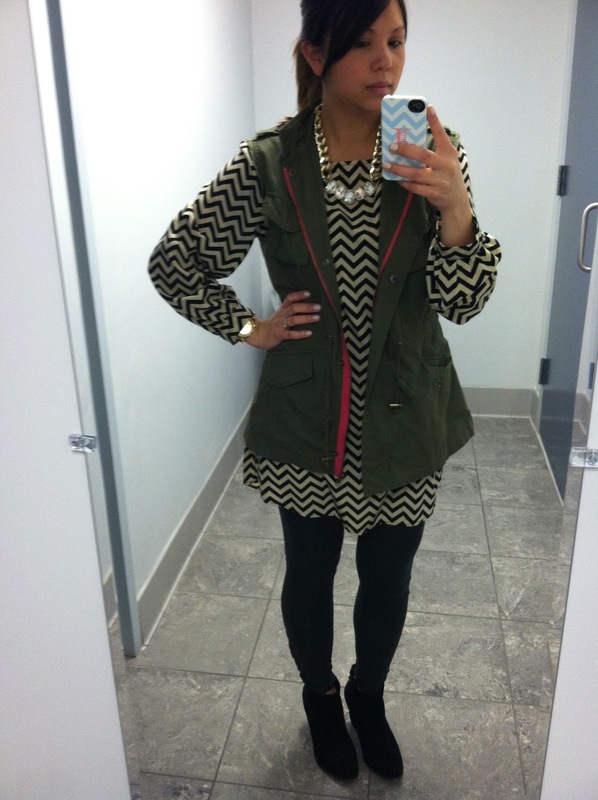 This chevron print "dress" is never worn as a dress for me. I think its a bit short and I am always self-conscious that my backside will show with the slightest bend forward so I always pair it will leggings. 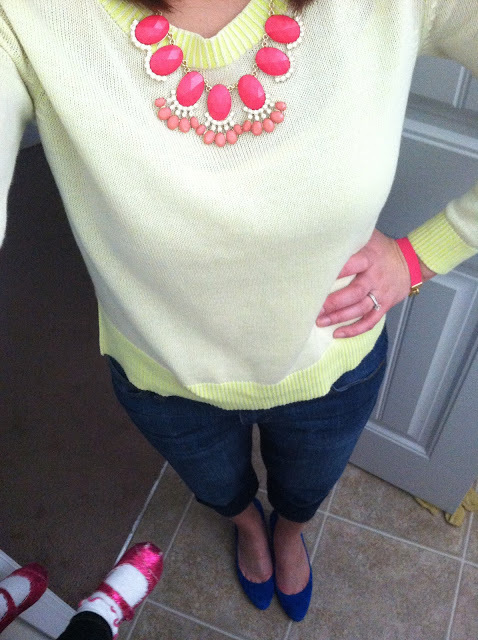 I wore this bright outfit for my date night out with hubby and friends on Saturday. 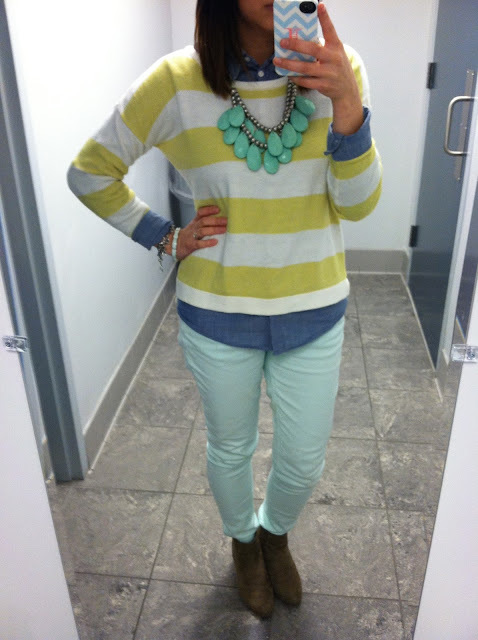 I didn't want to be too dressed up so I went with girly colors and boyfriend jeans. Usually on weekends I can be found in flats or tennis shoes so I was excited to finally have a reason to wear heels with my bf jeans. 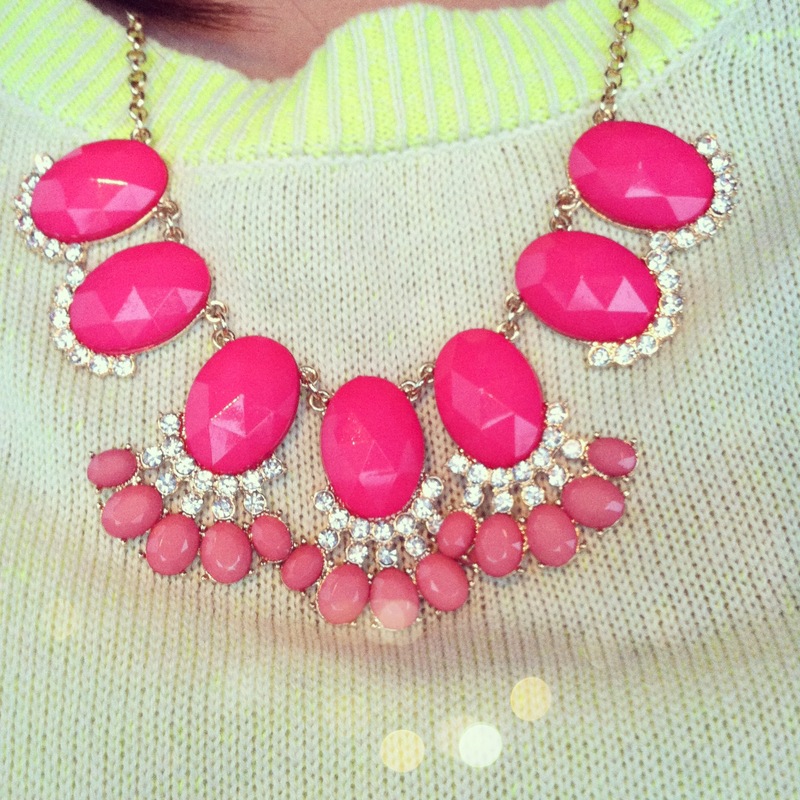 Isn't this necklace beautiful? I love the color and it looks so fancy but didn't break my wallet! It also matches Lily's glitter TOMS peaking out in the corner of this pic! 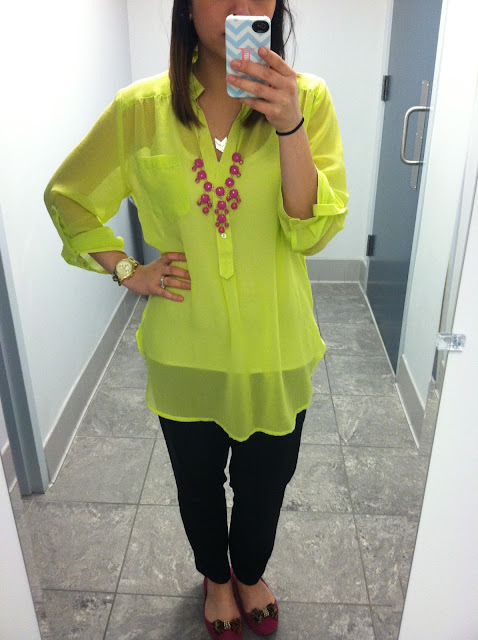 This lime colored tunic was the perfect backdrop to my raspberry bubble necklace and flats. 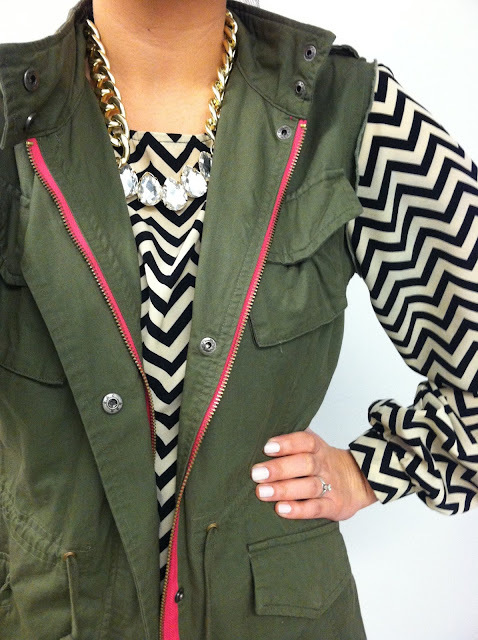 I also scored this gold chevron necklace over the weekend to add another layer to my neck candy. Told you I was colorful this week! Sometimes I coordinate my outfits with the Coast to Coast Challenge. I follow their feed on Instagram and they posts various challenges and invite their followers to join. I stumbled across it one day and thought it sounded like a fun idea and another way to be inspired. 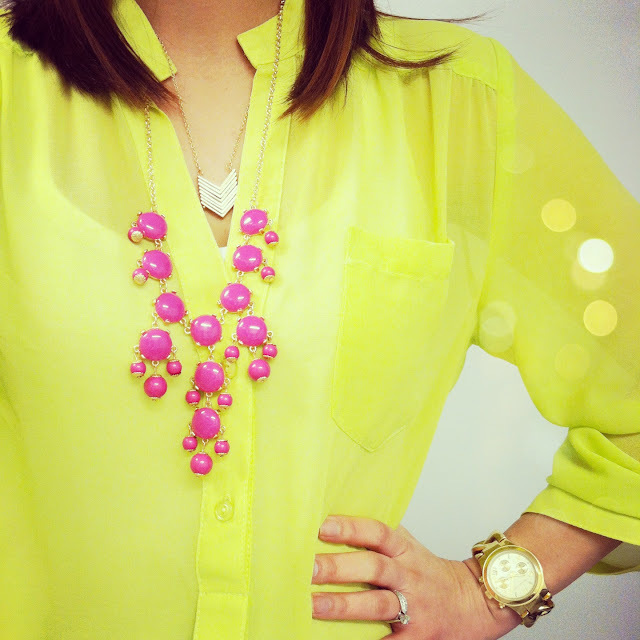 March 26th was Pastels and Brights. That's a wrap for this week. Join me next week and follow along here or on my Instagram feed (username jtcruzan). 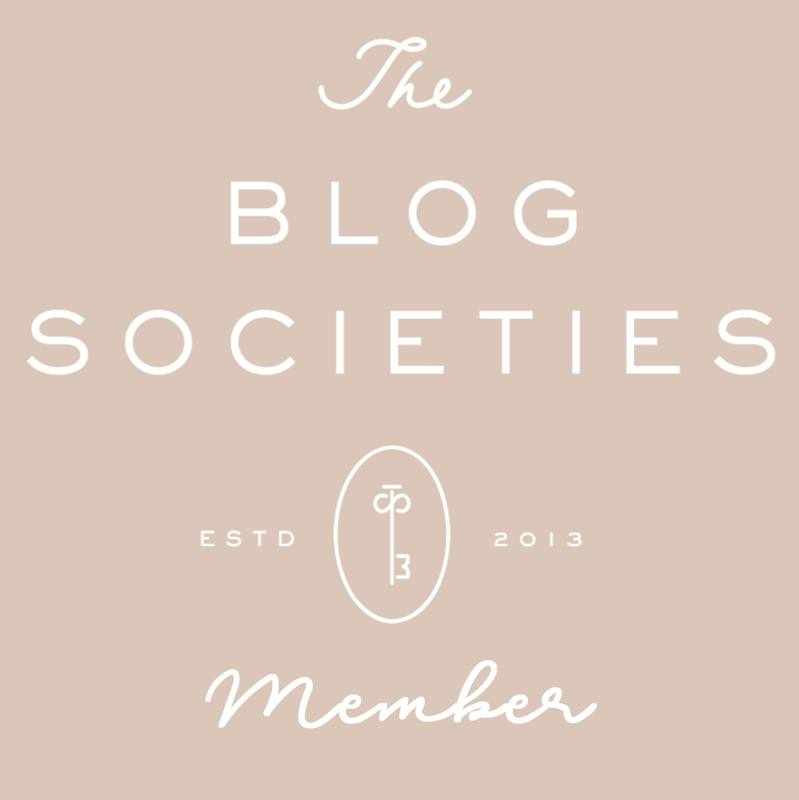 As usual, linking up with Lindsey from The Pleated Poppy. Oh I LOVE your jewelry collection! It's all gorgeous! And the way you have styled it with your outfits is fantastic! Thanks Aubree! 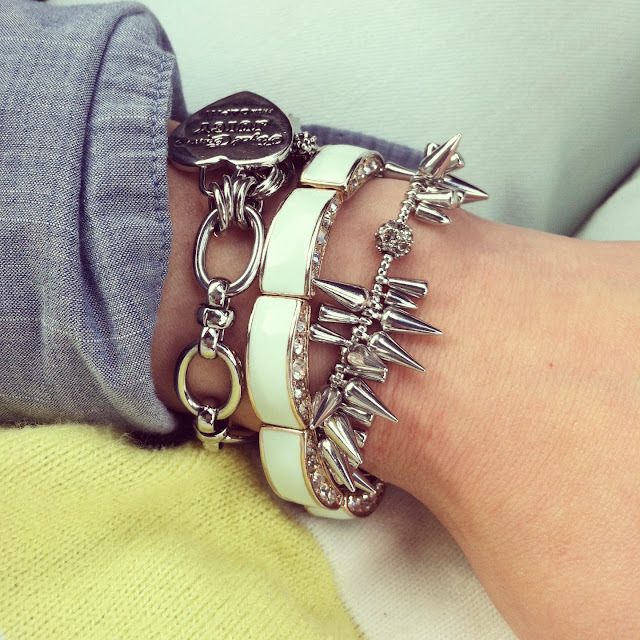 I kind of have an obsession with accessories! Each of your outfits is so well put together. Love! The vest/dress combo is my favorite. Thanks so much! I think its my favorite outfit from last week too! you dress so cute & i love your use of color. i've been debating about that chevron tunic. may i ask you if you think it runs large? i wear an xl in most things...but i can only find a large in the shops that carry the tunic. 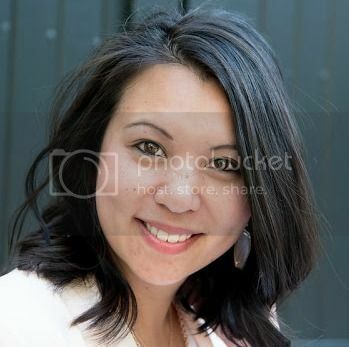 what do you think...please be honest. Thanks! I think the tunic runs true to size. Especially in the bust so I wouldn't settle for the large. Good luck in your search! I'd love for you to stop by and enter my latest shopping spree giveaway! 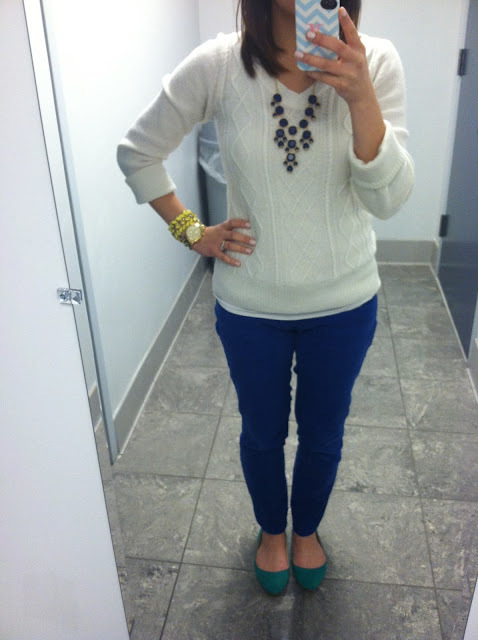 Obsessed over your first outfit :) Gorgeous top and blue pants! Hope you can check out my new post on the site. I'd love to hear what you think!